How fitting that I chose the Courthouse Steps for my block tutorial. It was actually a lot of fun to do. Perhaps I shall make more. They were great fun to make. So let's begin. You want to start with some made fabric and a coordinating regular fabric. 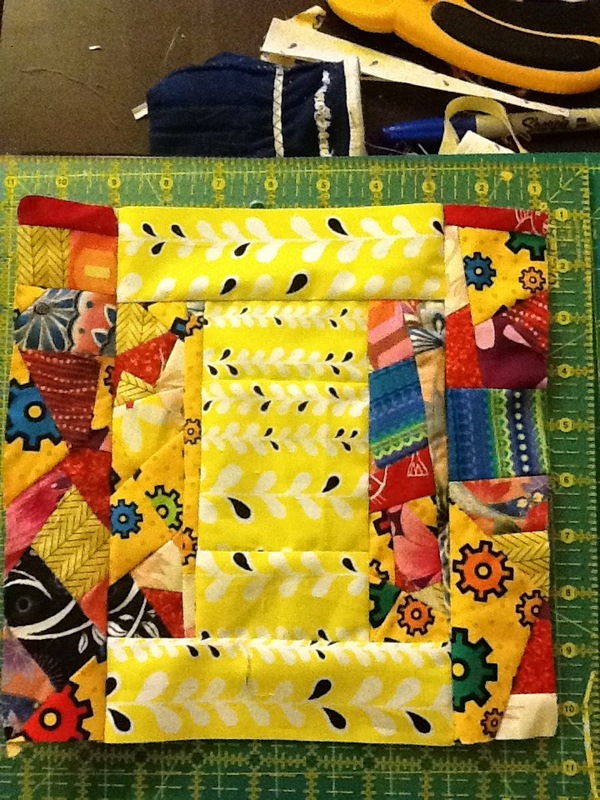 Your made fabric must be at least 12 1/2 inches by 12 inches in order to get the sizes needed for this block. You will also need a piece of fabric at least 23 inches by 15 1/2 inches. To do the coordinating strips. 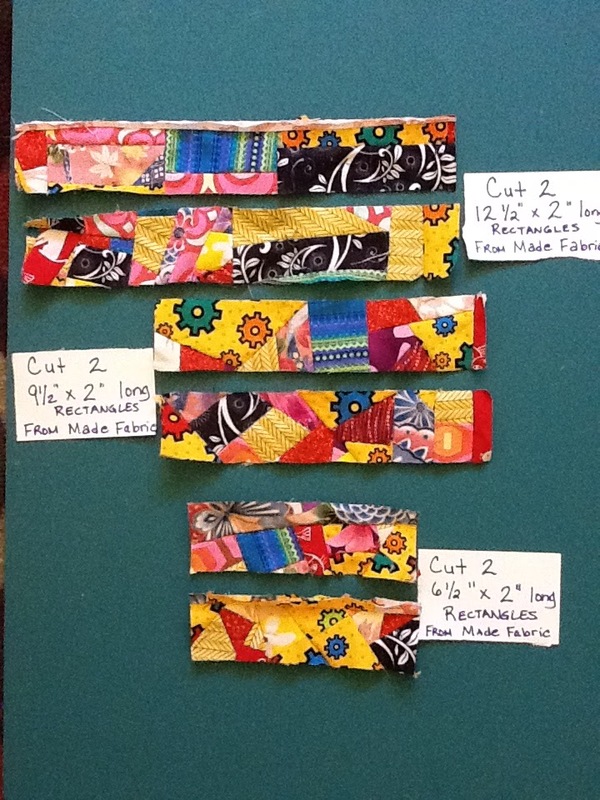 Now that you have your made fabric you will cut the following strips. 1. Cut two 12 1/2 x 2 inch long rectangles. 2. Cut two 9 1/2 x 2 inch long rectangles. 3. Cut two 6 1/2 x 2 inch long rectangles. 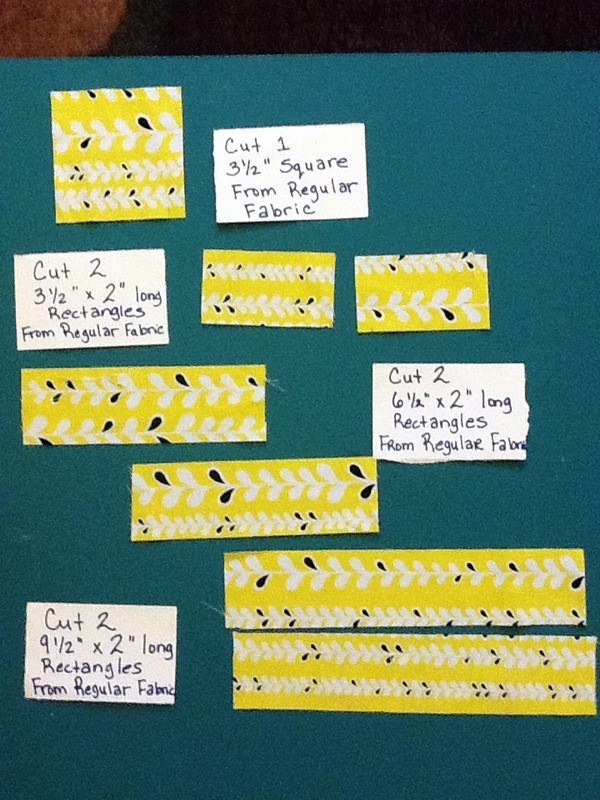 You will cut the following strips from your regular fabric. 1. Cut two 9 1/2 x 2 inch long rectangles. 2. Cut two 6 1/2 x 2 inch long rectangles. 3. Cut two 3 1/2 x 2 inch long rectangles. 4. Cut one 3 1/2 x 3 1/2 square. Start with the 3 1/2 x 3 1/2 square. 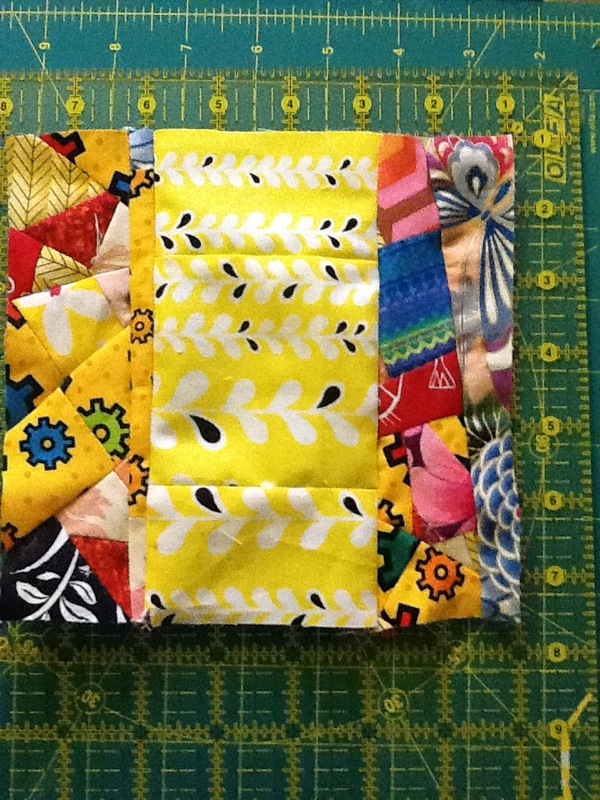 Sew one of the 3 1/2 x 2 inch fabric to the top of the square, and the other to the bottom of the square. 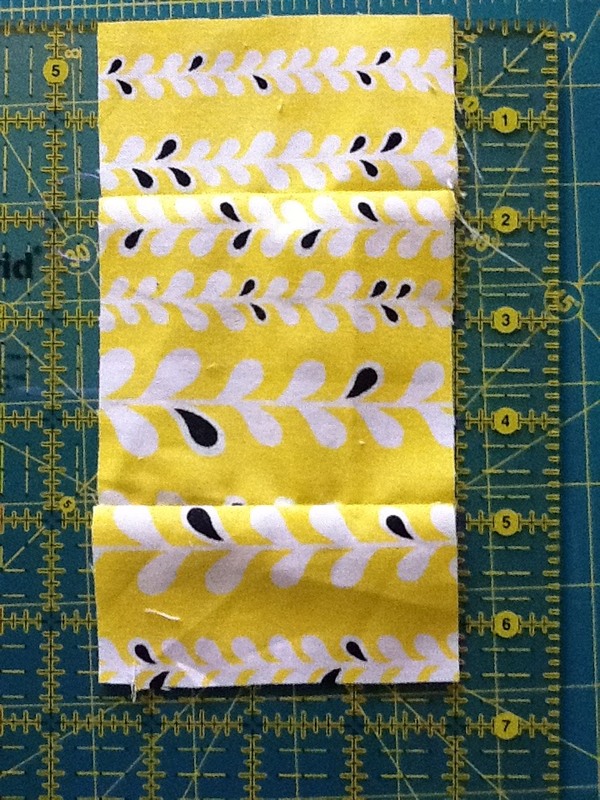 Next, sew the 6 1/2 x 2 inch made fabric to either side of the now combined regular fabric. 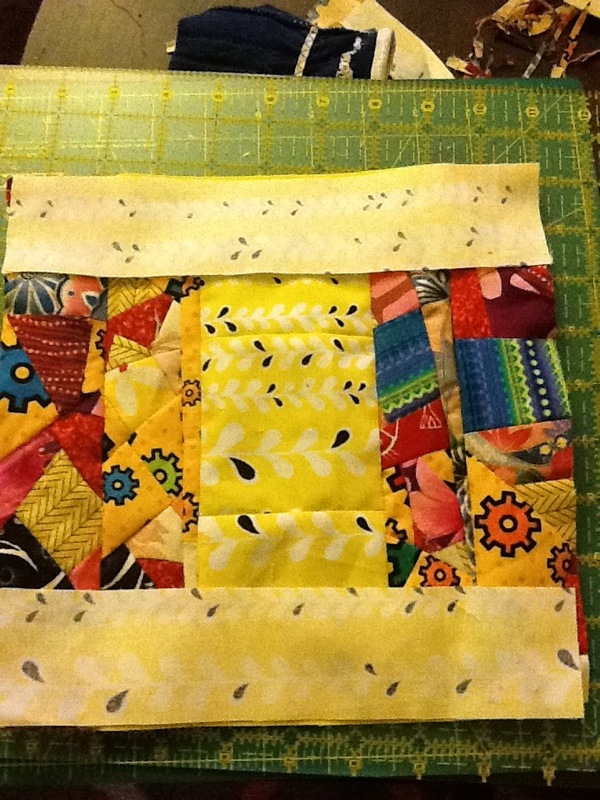 Now sew the 6 1/2 x 2 regular fabric to the top and the bottom of the block in process. 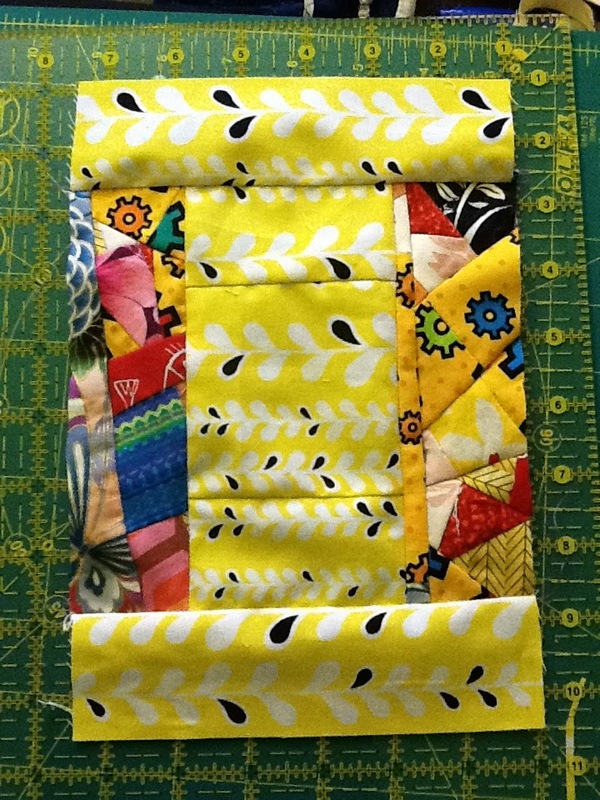 Then sew the 9 1/2 x 2 made fabric to the sides of the block in progress. 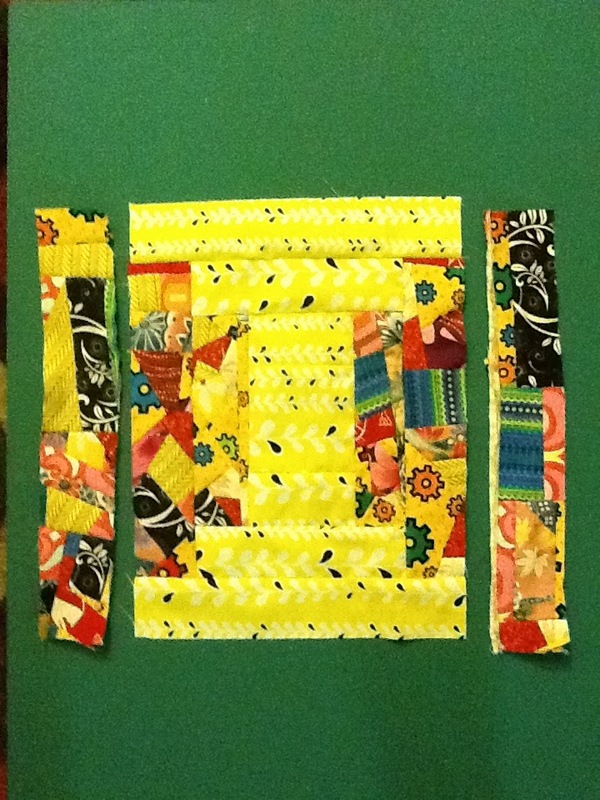 Sew the 9 1/2 x 2 inch regular fabric to the top and bottom of the bottom of the block in progress. 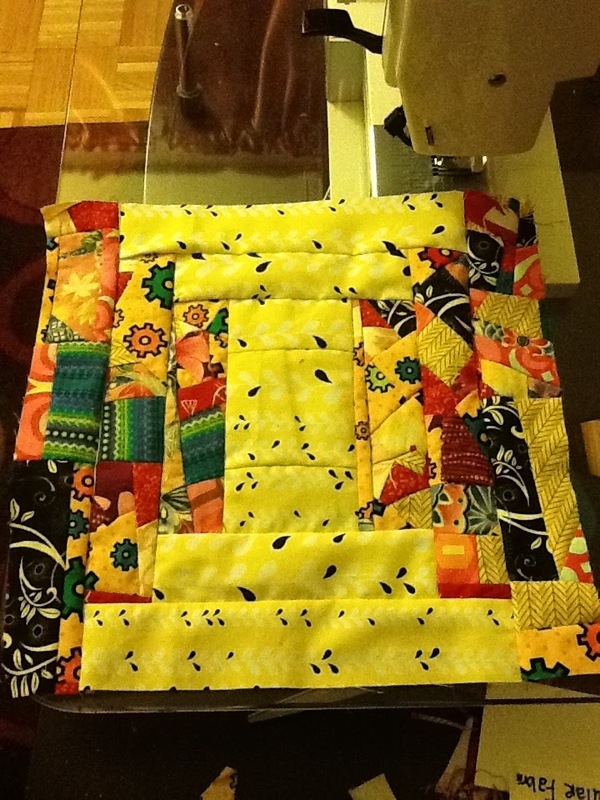 Finally, sew the 12 1/2 x 2 inch made fabric to the sides of the block. Now I chose to use the made fabric on the side strips. However you can use it for the center strips. Happy block making. Hopefully I will have a chance to make some tomorrow. Maybe not......but I love them! Looks like a great tutorial! Can't wait to get it started! This looks great. 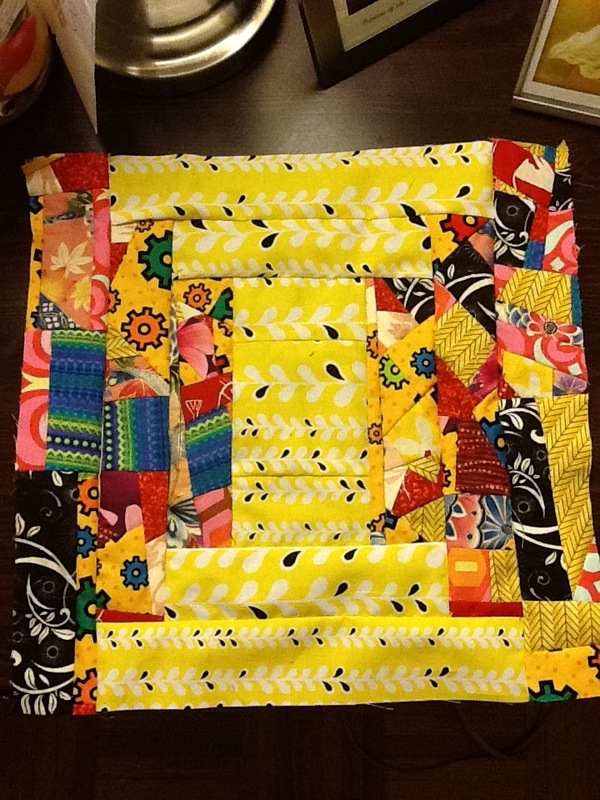 Love your yellow with all the scraps.